Every year is a journey for a business. You begin with a set of objectives for the month ahead, probably encounter a few bumps along the way and, hopefully, reach your destination with some success and a few lessons learned. HR. Your people are your most valuable asset. So, how is your employee turnover rate trending compared with last year or previous years? High employee turnover could be a sign of underlying problems, such as poor training, lax management, or low employee morale. Don’t wait to the end of the year to assess the progress of your 2018 strategic plan. 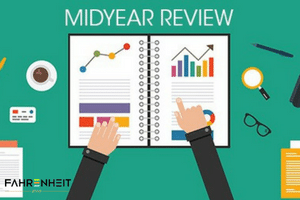 Conduct a midyear review and get the information you need to make any adjustments necessary to help ensure success. Let us know how we can help!